Although that seemingly healthy snack may not be wearing a black mask to hide its face, your favorite food go-to may actually be a stealthy criminal in disguise; seeking to destroy all the good work you have been doing to live a healthy lifestyle. Could your favorite afternoon snack really be deceiving you? You may be shaking your head, “No. I read my food labels and I pay attention to the health claims made on the package. I know what food choices are healthy!” But how do you really know if a food is beneficial for you or just pretending to be? Maybe you learn about nutrition information from the Internet, advertisements, friends, and family; but these all create opportunities for nutrition misinformation and health food frauds. In a recent study, when the packaging on a snack food claimed it contained more vitamins or health benefits, shoppers are less likely to read the food label, and more likely to perceive the product as healthier, less likely to choose a healthier alternative and more likely to buy the product without reading the label. Even though this sounds convenient and packed with healthy ingredients (vitamins, minerals, and antioxidants), these are also typically loaded with sugar and very little protein or fiber. These diet busters are lacking the keys to keeping you full and possibly raising blood glucose levels. Even though these contain fruit, it’s typically too much for one sitting leaving you consuming up to 70g of carbohydrates at once. Yowza! If you're set on having a bottled juice or smoothie, first check the ingredient label and make sure it contains no more than 15 grams of carbohydrates per serving. Ideally, it should only contain one serving of fruit. The rest should be veggies. Better yet? Just eat a piece of fruit. It’s cheaper, more filling from fiber, and contains less sugar. Another disguised food out to sabotage your health efforts: “healthy” chips! More often than not, veggie chips are just potato chips with some veggie powder or protein powder sprinkled in for coloring. Look at the ingredients panel if you want to see how much 'vegetable' your veggie chips actually contain. Also look at the calorie, fat, sodium, and carb counts; many veggie chips are just as high in calories, carbohydrates and low in fiber as the potato chips you're trying to avoid. Often times, choosing these fraudulent chips only keeps you in the cycle of making unhealthy decisions. A chip is still a chip. We know that kids' cereals aren’t typically healthy food choices (I’m looking at you, chocolate rice cereal)! So, choosing something targeted towards healthy adults makes more sense, right? Don’t get fooled by these. Far too often, "smart," "whole grain," "healthy" cereals or cereal bars aren't all that different than the sugary stuff a few shelves over. According to research from Harvard University, cereals that boasted health benefits on the front of the box (such as the yellow check marked “more whole grains!”) have more sugar and calories than do whole-grain foods that don't sport the label. Another issue with these cereals is the serving size. A serving of cereal is typically only ¾ cup. Have you ever measured that out? It’s smaller than you think. Ideally, this serving should have less than 10 grams of sugar per serving, less than 15 g of carbohydrates and at least 5 grams of fiber per serving. Look for cereals that have bran as well. The fiber in bran has been shown to help reduce cholesterol, regulate blood sugars, and contain beneficial antioxidants. Use a small amount of cereal to top your favorite plain Greek yogurt, or mix in with a handful of nuts for home made trail mix. Other than that, skip the cereal aisle in favor of better carb choices. While having a handy on-the-go protein bar can be a good option, many protein bars contain as much sugar and carbohydrates as a standard candy bar. 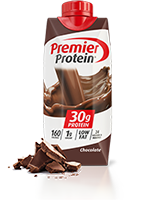 As a result, you get a few grams of protein—along with large amounts of sugar, trans fats, and other fillers. Get your protein from whole foods like eggs, meat, poultry, fish, beans, and legumes, even after a workout. And speaking of workouts: A recent study from Penn State, found that the more fitness-branded foods dieters bought, they more they ate and the less they exercised. There are numerous protein bars on the market that can fit into your healthy lifestyle. Look for those that contain at least 20 g of protein from sources such as whey protein. A bar should also contain less than 200 calories, 20g of carbohydrates, higher than 5 g of fiber but less than 5 g of sugar per bar. 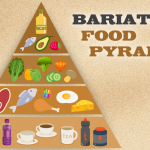 We need a variety of foods to get all of our nutrition needs met. While it is tempting to believe that some foods to believe that eating novel foods or taking expensive supplements will make us lose weight or grow thicker hair, there is little science to back up these claims. Remember, there is no magic food. When determining if a product is healthy, avoid taking the food company’s word for it. Instead, read the food label and determine for yourself if the ingredients and macronutrient composition align with your health goals. Seek out unbiased science-based research and nutrition information. Ignore claims of “Great source of (insert vitamin)”. Many claims on packages state that a food is a great source of a specific nutrient. The best way to get your vitamins and minerals is from the real fruit or vegetable where they naturally occur. Keep walking past foods that boast of being “Natural, All Natural or Made with Natural Flavors”. The word “natural” really has no meaning when it comes to food labels. If a junk food such as cheese puffs or breakfast pastries make you believe they are from a natural food source, think again. Avoid “Made with Real Fruit!” Usually, the “real fruit” is actually a highly processed fruit puree or fruit juice, which just concentrates their sugar. Make the decision that is right for you and your health, independent of manufacturer claims. If you have questions about dietary supplements including vitamins, minerals, herbs, and botanicals, ask the experts! These professionals are trained to know what to look for and to help you find foods that will meet your goals. You owe yourself the best information available by checking with a knowledgeable professional. Marketers and food companies are counting on your lack of knowledge. The goal is to have you purchase their products over their competition. The best way to protect against questionable health products and services is to be an informed consumer. Be aware of the common claims and themes that accompany nutrition misinformation. Don’t just read the front of the package – even if the information seems like a great health claim, investigate for yourself. A recent study showed that consumers who only saw front-of-package claims rated low carbohydrate products as more helpful for weight management and lower in calories and more healthful than the same products without a claim. In most cases, this is not true. Read EVERYTHING, front, back, and the sides of the foods you are considering to buy. Companies bank on making you believe that you need to eat snack foods. If you snack on real foods such as produce, nuts, seeds and unsweetened yogurt, you will likely consume less unwanted sugars and fats in the long run. Buy real, eat real foods. When you come across a food that you re skeptical of, stop and think about it. Ask yourself if it is truly a healthy option. Protein filled cookies might be tempting, but it is still a cookie. Is eating cookies really a part of your new, healthy lifestyle? Will eating these low carbohydrate chips eventually lead you down a slippery slope into old food patterns? Be honest with yourself about why you are choosing certain foods, especially healthy versions of past trigger foods. In a perfect situation, your diet would consist mostly of fruits, vegetables, lean proteins, high-fiber grains, low-fat dairy, and healthy fats. But most of us live in a crazy, high-stress world where this isn’t always achievable. Reaching for packaged foods and convenience items can still be a part of your overall healthy diet. Before reaching for that product on the shelf, be aware of what you are buying. 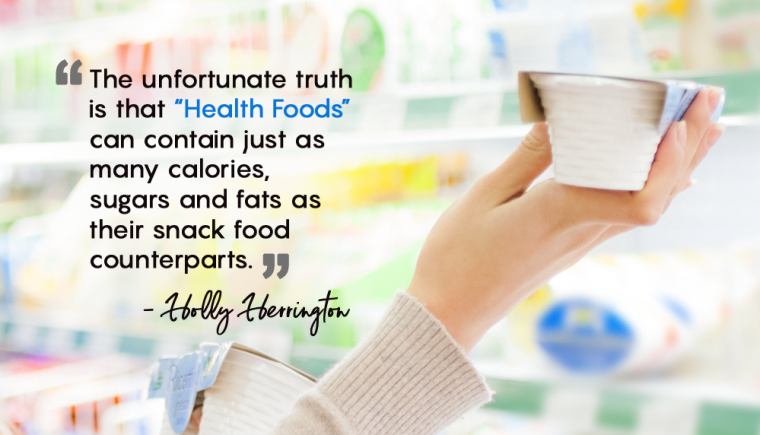 Foods that are masquerading as healthy can be uncovered if you know what to look for. Read the nutrition facts label, ask your registered dietitian for help and when in doubt, keep your portions limited.